Garmin International, Inc. a unit of Garmin Ltd. (Nasdaq: GRMN), and KVH Industries, Inc., (Nasdaq: KVHI), have announced an arrangement to offer two marine satellite TV antenna systems made by KVH as part of a Garmin marine network package. The two dome products — the GTV5 and GTV6 powered by KVH — will be offered by Garmin to select recreational boat builders and select high-end installing leisure marine electronics dealers. KVH pioneered the field of mobile marine satellite TV with their TracVision® line of satellite TV antenna systems. Garmin’s marine products include chartplotters, multifunction displays, high-definition radar, sonar technology, autopilots and more. 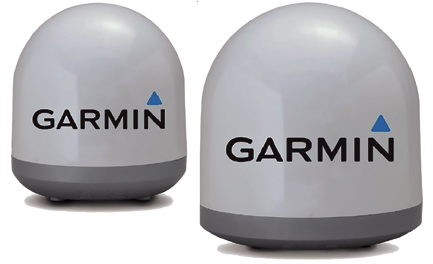 These products will be Garmin’s first satellite TV antenna dome products. The GTV5 (45 cm/18 in diameter) and GTV6 (60 cm/24 in diameter) offer outstanding high-performance tracking and reception, and fast satellite acquisition, no matter the sea conditions. These popular satellite TV domes for sportfishing and cruising boats are compatible with DIRECTV® U.S., DISH Network®, Bell TV, Sky Mexico, Sky Italia, and Sky U.K., and circular and linear Ku-band services worldwide. They can be used to receive HD satellite TV programming with Ku-band services and are fully stabilized to enable boaters to enjoy hundreds of digital TV and movie channels via regional satellite services around the world. KVH’s exclusive RingFire™ technology provides stronger signals, wider geographic coverage, and better reception, and KVH’s IP-enabled TV-Hub is included with every system to deliver easy setup and operation. Garmin was recently named Manufacturer of the Year for the third consecutive year by the NMEA. Garmin’s portfolio includes chartplotters and touchscreen multifunction displays, sonar technology, high-definition radar, autopilots, high-resolution mapping, sailing instrumentation, and other products and services that are known for innovation, reliability, and ease-of-use. Other Garmin marine brands include FUSION Entertainment, and Navionics, a supplier of electronic navigation charts. Garmin serves five primary business units, including automotive, aviation, fitness, marine, and outdoor recreation. KVH’s TracVision line has been recognized by the National Marine Electronics Association (NMEA) with a product award for the past 20 consecutive years. Cog, a maker of Internet of Things (IoT) security solutions, has announced that Fleet, an Australian IoT startup, has partnered with the company to advance the security of satellite-connected IoT devices. Fleet will deploy Cog’s D4 Secure platform on trial projects around the world. 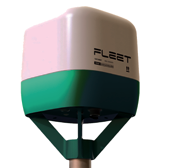 With the company’s focus on satellite-enabled massive IoT devices, Fleet connects hundreds, thousands or tens of thousands of industrial devices in areas with no cellular or public low-power wide-area network (LPWAN) coverage. Fleet’s solution is especially effective for remote industrial agriculture, maritime logistics, mining and environmental applications. 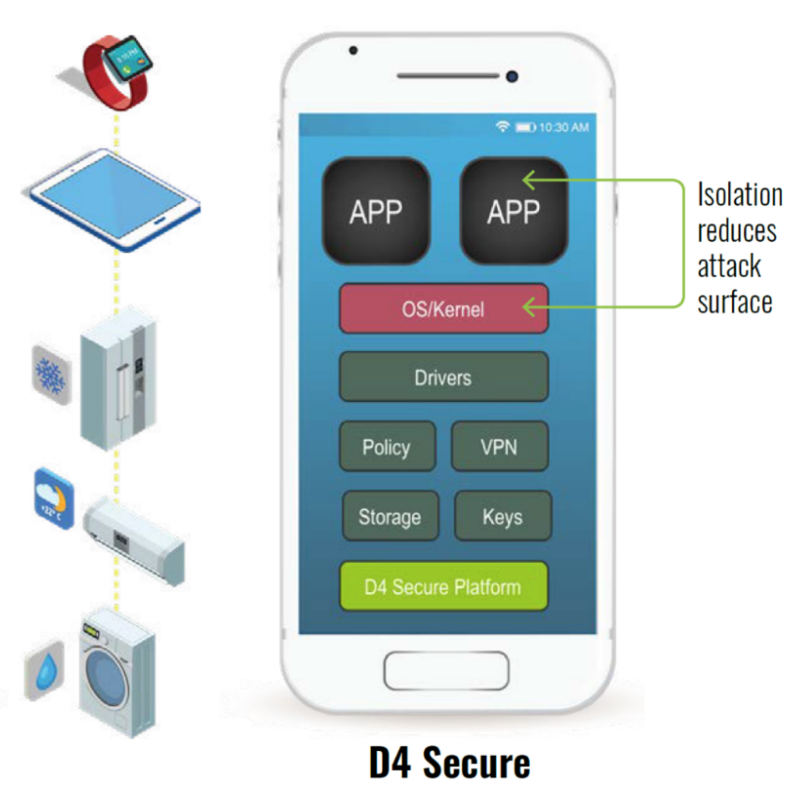 The companies will install Cog’s D4 Secure platform to provide proactive kernel protection, radio isolation for satellite communications, and a VPN tunnel to ensure secure data transport for Fleet devices. As a final step, Cog will isolate other sensors so they only draw battery power when a specific event is executed. Omantel Wholesale has selected NorthTelecom to grow their satellite footprint with additional transponders to enhance the firm’s Ku-band satellite capacity. The agreement increases Omantel Wholesale’s satellite capabilities and gives their customers increased redundancy and resiliency across the firm’s global network and also enables Omantel Wholesale to add Ka-band network capacity if required in the future. Omantel Wholesale’s satellite services are designed to ensure maximum uptime for customers and deliver a comprehensive suite of connectivity solutions. Its agreement with NorthTelecom builds on decades of development of both its terrestrial and satellite networks. NorthTelecom was established in 2007 and is headquartered in Dubai, UAE. The company specializes in provisioning satellite communications and ICT services on land and at sea. The firm has a global reach, with operations and teleports in South Korea, Singapore, Dubai, Greece, Spain, UK and Cyprus. NorthTelecom is present in 12 international Points of Presence (PoPs) and seven teleport operations, as well as serving more than 100 partners around the world. Omantel Wholesale’s unique geographic position in Oman enables the firm to offer ultra-low latency networking to communications hubs in Asia, the Middle East, Africa and Europe. Ultra-low latency networking enables innovation in applications and services and provides a foundation for Digital Transformation globally. Mr. Sohail Qadir, VP, Omantel Wholesale, noted that the company is continually developing and adding to the firm’s satellite capabilities to give customers unique connectivity options as well as an exceptional networking experience. 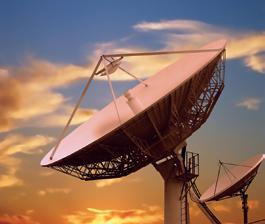 Satellite is an important element of Omantel’s connectivity ecosystem and, by working with NorthTelecom, the company is adding capacity and growing its presence on the ground and in the sky. Hadi Nazari at NorthTelecom added that satellite remains critical to global infrastructure and enables businesses across the globe to stay connected whenever they want and wherever they might be located. Growth of global internet means that applications and service have to be delivered with always-on performance. Together with Omantel, NorthTelecom is ensuring that end users get connected and have an optimal application experience. 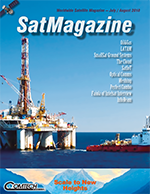 Asia Satellite Telecommunications Company Limited (AsiaSat – SEHK: 1135) announced their collaboration with KBZ Gateway Company Limited (KBZ) to explore business opportunities for providing OTT (Over-the-Top) via Satellite video service in Myanmar. The OTT via Satellite video service is a solution to help broadcasters and content providers reach their audiences instantly and cost effectively. The service aims to make content more available across platforms, whether it is for bringing content seamlessly to separated and rural areas via village Wi-Fi or for connectivity on the move, such as for cruise ships, planes and trains. This initiative will initially support the free-to-air distribution of national TV channels, enabling audiences across the country to have access to free online video content via mobile and other connected devices regardless of their location. AsiaSat will invest in providing space segments and ground facilities from its teleport hub in connection with the project. KBZ will invest in the supply of the installation, servicing and roll-out of OTT boxes in Myanmar and securing licensing of the TV channels to be distributed on the OTT platform. KBZ is a licensed VSAT operator in Myanmar, for the provision of, including but not limited to, internet broadband access via satellite. KBZ’s Chief Technology Officer and Head of Business, Virender Singh said that continuous innovation and excellence in service has been their motto from day one. This will help them bring OTT services to the remote regions of Myanmar and their customers will be able to enjoy content on any device via any platform of their choice. KBZ’s close partnership with AsiaSat has helped them achieve a superior service quality in the VSAT space and they hope to bring even faster and better connectivity experience to remote and rural Myanmar. AsiaSat’s CCO, Barrie Woolston added that innovation continues to push AsiaSat forward, and they are keen to explore new and dynamic ways for people to enjoy services that otherwise could not be possible due to geographical restrictions. Singapore-based MSI Ship Management Pte Ltd., selected Satcom Global’s Aura VSAT service to provide high quality communications to a fleet of new-build cargo vessels, which came under their management in 2017. The client-focused company, which manages various types of wet and dry ships for customers all over the world, were looking for a new reliable and cost-efficient solution for business and crew communications for the fleet, to meet the high service standards demanded by their customers. 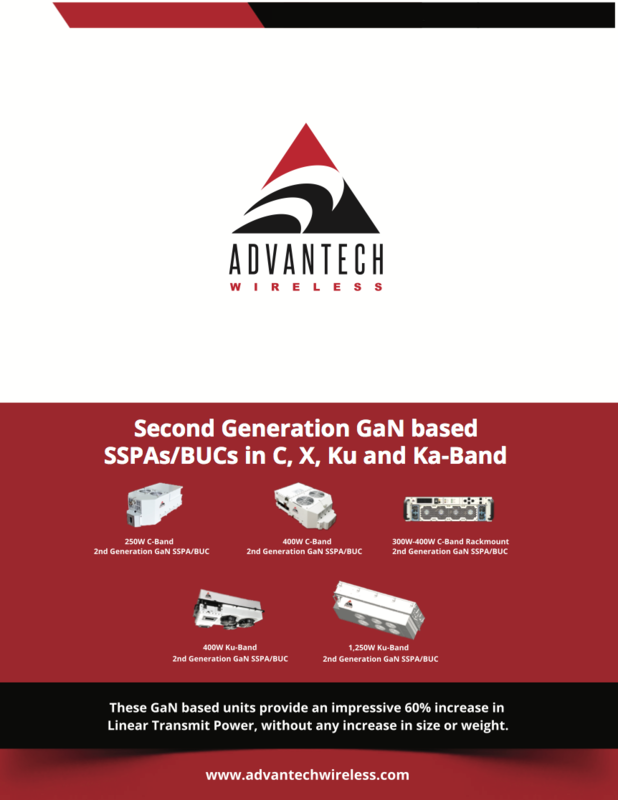 Satcom Global is meeting MSI’s fundamental requirement for system reliability with its high-performance Ku-band VSAT service, Aura, which boasts 99.5 percent network uptime and assured levels of bandwidth, guaranteed by a Committed Information Rate (CIR); standard across all Aura service plans. The Aura VSAT service is proactively supported by a range of monitoring and diagnostic tools, including automatic alerting from the integral IPSignature 4 smart box, which triggers priority investigation by Satcom Global’s 24/7 technical support team, should a problem occur. In many cases, a resolution for an issue can be well underway before a vessel notices and reports it. Satcom Global engineers completed the installations on MSI vessels in Singapore between December 2017 and March 2018. As well as installing market-leading Intellian v100 antennas to deliver the Ku-band service, they updated the vessels’ WiFI networks. A General Dynamics Mission Systems and NASA team have successfully completed a milestone with the installation and initial checkout of equipment needed to upgrade two NASA Space Network ground terminals at NASA’s White Sands Complex in New Mexico. Site integration readies the updated ground terminals for ‘end-to-end’ communications testing scheduled for later this year. The installation, integration and testing are part of the NASA Space Network Ground Segment Sustainment (SGSS) program. The Space Network ground terminals provide command, control, communications and operations management for the Tracking and Data Relay Satellite (TDRS) constellation, the space element of NASA’s Space Network. 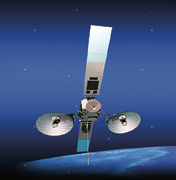 The TDRS constellation is responsible for communicating with more than 40 space-client missions including the International Space Station and Hubble Space Telescope. General Dynamics is also working with the NASA team to complete 40 individual mission transition plans, defining the specific steps needed to move the operation of each TDRS client satellite from the legacy ground system to the new system. With the technology updates, the ground system will have greater resiliency to secure and manage unanticipated disruptions of the Space Network. It will also be able to expand and manage new NASA missions, in addition to those currently operated by the Space Network. General Dynamics Mission Systems is a business unit of General Dynamics (NYSE: GD). The World Broadcasting Unions International Media Connectivity Group (WBU-IMCG) Intentional Interference to Satellite Services Working Group (IISS) has drafted the following proposal for a WBU position on C-band. In producing the proposed position below, the group referenced and updated the 2015 WBU-ISOG1 position on C-band. Examples of the impact on broadcasters of interference to their C-band downlinks were invaluable in industry defense of C-band spectrum at ITU WRC-15. WBU members welcome technological change and the benefits it brings to both audiences and broadcasters. At the same time, many tried and tested technologies continue to deliver reliable and efficient services for WBU members. Satellite services have long provided valuable broadcasting services and remain an essential part of often complex broadcast supply chains serving their audiences, both nationally and internationally, for public service and commercial broadcasters. C-band FSS downlink frequencies between 3,400 to 4,200 MHz, have been and are extensively used throughout the world by WBU members for Fixed Satellite Services (FSS) applications and will continue to be used for the foreseeable future, in particular above 3,600 MHz. WBU members have experienced serious interference to services where this spectrum has been opened up to other users and, because few countries require these receive-only downlink sites to be licensed or registered, little recourse is available. The WBU encourages our members to register their downlink sites. WBU members have been, and will continue to be, highly dependent upon the use of satellite services using C-band spectrum to hundreds of thousands of FSS downlink sites for contribution and distribution. C-band allows the operation of reliable, efficient and cost effective global and regional contribution/distribution systems and is also ideally suited to delivering media services into rapidly developing regions of the world. The potential allocation of C-band FSS spectrum to Mobile Services will create chaos to the economics of broadcasting by satellite, potentially interrupting services to audiences around the world. Furthermore, C-band is critical for satellite services in tropical regions as it suffers less from the attenuation effects of heavy rainfall than higher frequency bands. WBU members, therefore, call on satellite service providers and government regulators to protect the availability of the upper part of the C-band spectrum. This is where the band has been allocated to satellite services and is currently used to provide many broadcasting services, enabling broadcasters around the world to continue to provide vital broadcasting services to billions of people worldwide.